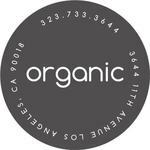 Organic Green Treatment is one of the oldest collectives in the entire city of Los Angeles. The distinct feature of this dispensary is an incredible level of quality control. Every strain that ends up here is checked for mold, pesticides, levels of THC and so on. The company utilizes modern technology and their knowledge and runs laboratory tests for all of its products. But the rigorous scientific approach is not the only thing that the company is known for. Organic Green Treatment is also a compassionate organization that provides care for every patient and creates a safe and warm atmosphere in the dispensary, so you will always feel welcomed. Over the years since the establishment, Organic Green Treatment gathered a loyal customer, but what’s more important is that the company gained the trust of the community. Here, on top of the incredible selection of medical marijuana that you may purchase, every patient can have a place to talk about his or her medical condition with professional members of staff. Who will work with each of you to come up with the treatment that will address your personal needs.